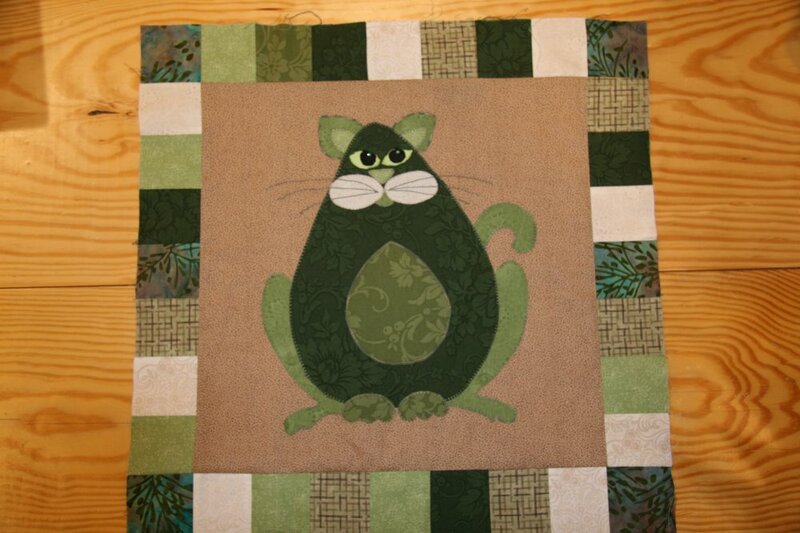 SQO1 - Garden Patch Cats -"Avocato" Block 1 pattern designed by Helene Knotts. 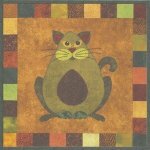 18" x 18" square block. Includes a recipe chicken & avocado salad.